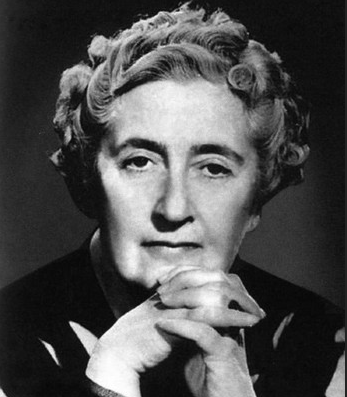 Dame Agatha Mary Clarissa Christie, DBE (née Miller; 15 September 1890 – 12 Januar 1976) wis a Inglis creeme writer o novelles, cutty stories, an plays. She awso wrate romances unner the name Mary Westmacott, but she is maist rememberit for her 66 detective novelles an mair than 15 story collections, maist o which revolve aroond the investigations o sic chairacters as Hercule Poirot, Miss Jane Marple an Tommy and Tuppence. This page wis last eeditit on 19 Februar 2018, at 18:17.